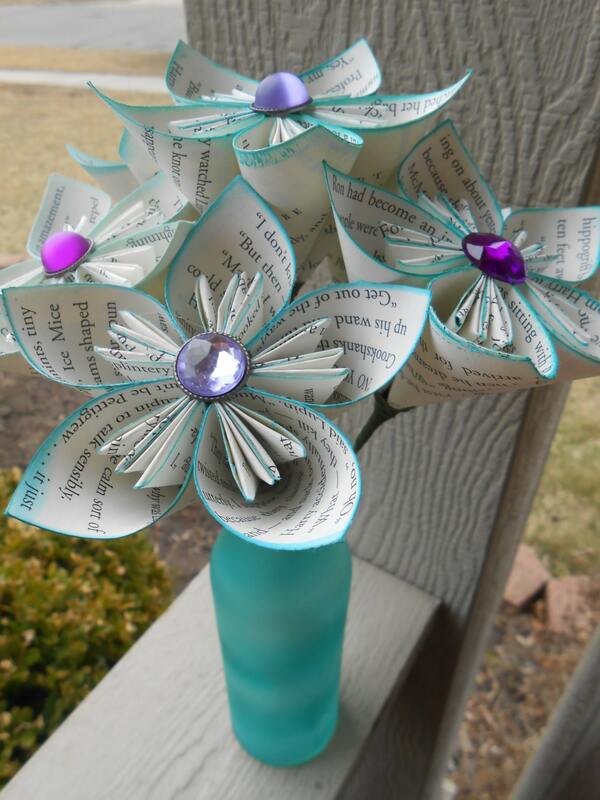 Book Paper Flower Bouquet. TEAL & PURPLE. Turquoise. 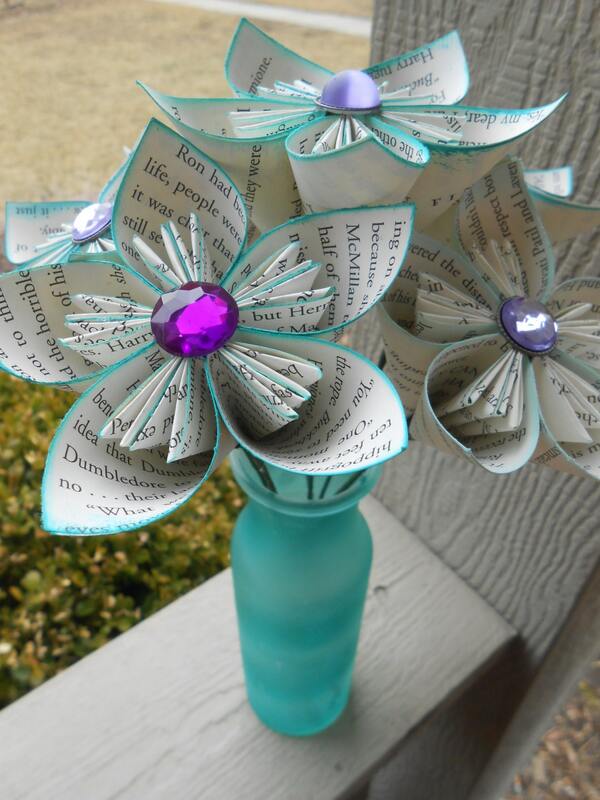 First Anniversary, Weddings, Home Decoration, Centerpiece. The stems are wrapped in green and are bendable. 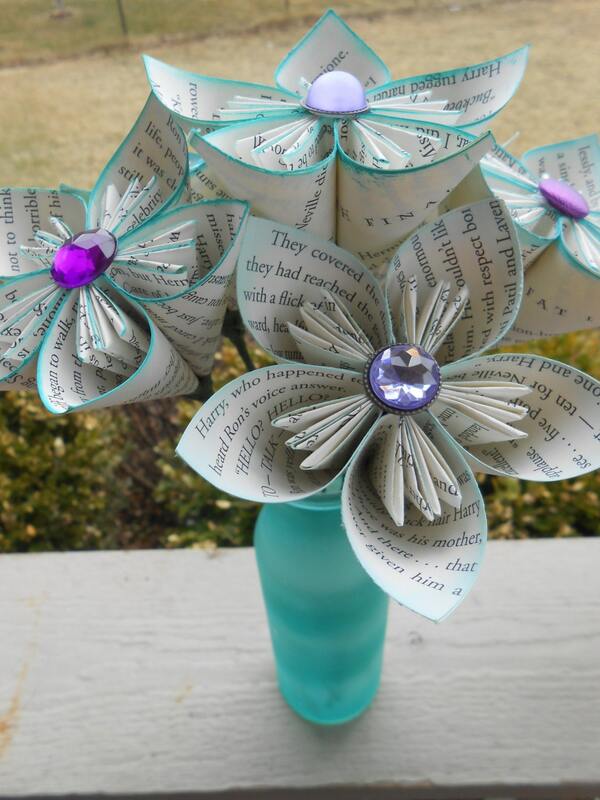 This bouquet is the perfect thing for the Book Lover! 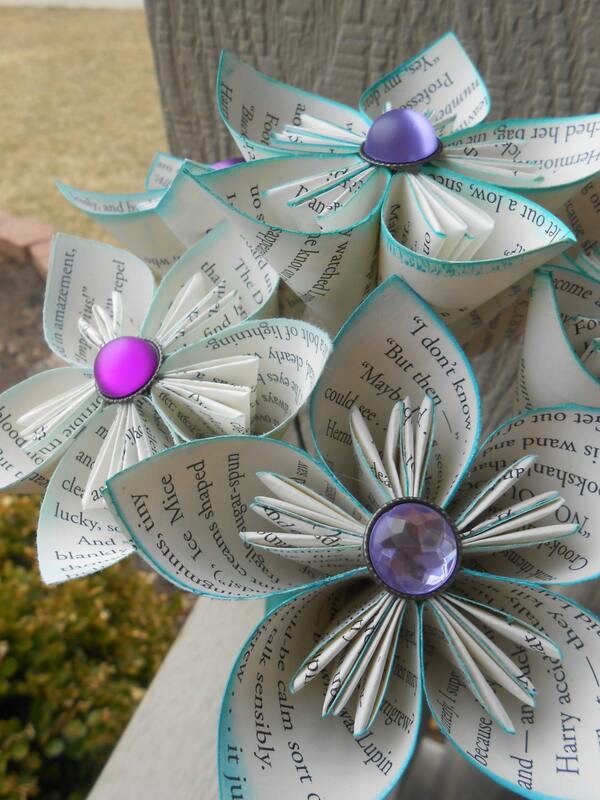 I can do these bouquets bigger or smaller, or in different books or themes! Please message me if you would like a custom order. These make great wedding centerpices. 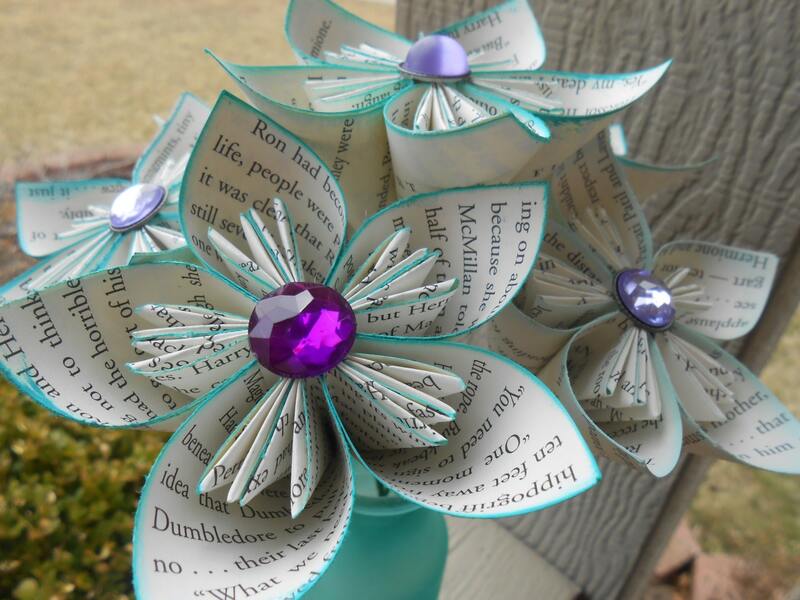 All flowers are carefully folded by hand and put together with care. They will be carefully packaged for shipping. ***CENTER DECORATIONS MAY VARY IN STYLE. It just depends on what they have in stock at the store. If you want buttons instead, let me know at checkout. If you want a color that is not on my list, message me and I'll let you know if I can get it. SEE my store for bridal bouquets!